The Great British Bake Off is back on our TV screens and two of my favourite bloggers, Mummy Mishaps and The Crazy Kitchen or Jenny Berry and Helen Hollywood, are setting us a little challenge. Every week, they’ll be hosting the Great Bloggers Bake Off, inviting us to link up recipes that go along with the theme shown the evening before. There are baking tins, scales, electric whisks and hundreds of different gadget that can make the job easier, but something that is just as important as a well-greased baking tin is a good range cooker with an oven that provides an even level of temperature. If you want to get involved and need a new cooker or think that your old oven needs to be replaced, check out the fantastic selection of range cookers from Argos. You will find something for every budget and if you would rather let fate decide, then why not enter the competition below. You can win a fabulous Flavel FSBG51K Single Gas Cooker in black – worth £309. How amazing is that? All you have to do is fill in the Rafflecopter below, but make sure to follow the instructions correctly as faulty and and incomplete entrants won’t be counted and entered into the prize draw. Good luck! I would back a huge cupcake for my girls to share in their new palace shaped play house!!! An enormous batch of gin and lemon cupcakes! I would cook a nice meringue as my cooker just isn’t cut out for the job! I’d bake a cake because our oven at the moment bakes so awfully unevenly that it’s impossible to make them right now. Has to be chocolate cake. I would really like to try baking the Angel Food Cake that featured in the first episode, it looked delicious. Ooh roast chicken and all the trimmings! Probably a cake or some scones because it would be the best way of getting the feel of my new oven then I’d go to town on a roast, casseroles and maybe a crumble – dream on girl! The seal has gone on my current oven so I’ve not done oven based cookery lately. I love baking cakes and have always wanted to make a Birthday cake for one of the children. Have my daughters birthday coming up soon so would attempt one of these. Would be so much fun. I love making pies so I would have a batch bake for my family and my freezer, chicken and mushroom is a favourite at the moment plus I have been picking blackberies so maybe make some apple and blackberry pies as well. I would bake lots of cookies! My son’s favourite meal of Hunters Chicken. Lemon Meringue Pie, does that count? I’d have to make Chelsea buns, everyone’s favourite and the kitchen would smell wonderful! I’d bake a cake to celebrate having a working oven! The temperature settings on mine are broken and it tends to burn everything so I’ve not made cakes for ages! Melting Moments biscuits – superfast for impatient bakers! a Birthday cake for my mother in law. Roast lamb! I love roast lamb! I would make cakes first! I would bake some lovely bread rolls and put a pot of coffee on the go – Just to get the smell filling my home! some sort of pie to celebrate the win! We haven’t had a kitchen in almost 2 years (undergoing renovation work as we speak!) so I think I’d bake something I’ve really missed being able to make – white chocolate chip cookies. Fruitcake using my mum’s recipe! Traditional Cornish Hevva cakes and a cornish pasty perfect! would have to be a chocolate celebration cake ! I would grill some steaks as my grill has gone kaput and I cannot do so I have to use a pan ITS NOT THE SAME!! it will be cook for me! I would bake a coffee cake. I’ve just joined the Clandestine Cake Club so this would be amazing. The darkest, richest, tastiest chocolate cake I could imagine! A Victoria Sponge – my oven has so many hot spots that it’s hard to make a whole cake and I normally just do cupcakes and have a couple that are overcooked! Cakes or buns, or both! Can you tell I have a sweet tooth? 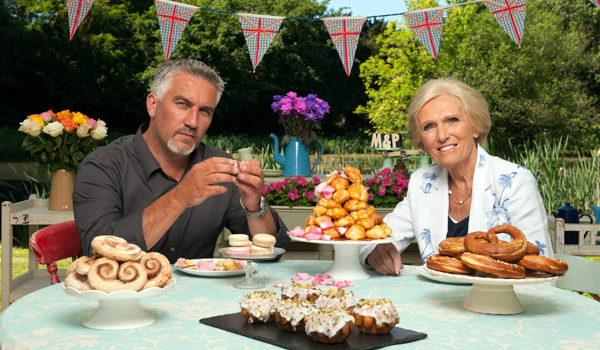 I’d definitely bake a Courting cake – The Great British Bake Off has inspired me! I would bake a big fat pie, made with puff pastry and slow cooked steak in ale. yum! Got to be Pizza for me! I’d definitely have to make a roast in the oven follower by a layered chocolate cake yum!!! Carrot cake! I love carrot cake you see…. Victoria sponge – it’s my utter favorite! A tray of cupcakes, yum! My cooker has been dying for over 4 years.I’d bake a cake a couple of meals for the freezer. I’d bake a loaf of bread. My cooker never heats up to temperature properly and it takes twice as long to bake a cake as it should do. I’m sure this must have a detrimental affect on the end result!!! Mind you, the cakes still never last much longer than a day in our house!!! I would do a roast dinner first, as my present oven is playing up too much to get really nice crispy roast potatoes! I’m a truly awful cook, so I’d instruct my man that curry from scratch is a great idea for tea time. A pineapple upside down cake – kids favourite! Plain and simple……Victoria Sponge Cake! A Victoria Sponge that I have recently mastered! A Victoria Sponge that I have recently mastered! It as taken me a while to perfect it, but I’m there now! I would cook a lovely roast chicken dinner with all the trimmings. Some lovely soda bread with country creamy butter. My favourite lemon meringue pie ! I would love to bake a Lemon Drizzle Cake. I would start by baking hubby’s favourite cake – lemon drizzle. Then i would pop a big coq au vin into the oven to cook slowly to perfection for when he gets in from work. A good old fashioned Victoria sandwic cake! a chocolate cake. It has been so long since I tasted a home made cake. I’d cook a carrot cake … my favourite! Creamy garlic potatoes. My family love these. would have to be a full on roast! Fresh apple cake with caramel frosting …. yummy. My husbands favourite – Lemon Drizzle cake Yum! I’d cook a full roast dinner for my family- i have 2 large organic pork joints in the freezer waiting for a special occasion meal. A new oven would be a massive celebration! Fabulous prize! I would bake my famous banana cake – it never lasts long!! I would love to try bread, but that may not turn out edible, so while it was baking I would do a rhubarb or gooseberry crumble! I don’t know if this is because the weather is turning, but I have had a hankering for a slice of rich fruit cake, mazipaned and iced. So, I think I would be putting a cake in the oven. a baked cheesecake – chocolate probably!!! I’d cook a big fat roast dinner! I would love to win this! No more flat Yorkshire puds!!!! Pineapple with tuna on it. A roast dinner for the whole family and then a huge cake to celebrate!!!!!!! I would do some baking & make a Christmas cake – nice & organized! I would bake my hubby a 30th birthday cake! Found a rather scrummy-sounding maple syrup cake recipe so this would be an ideal excuse to get the flour out. It would be chocolate orange cake, my favourite! Lots of cakes as I hold have the occasional coffee morning but my cakes aren’t what they could be! I blame my current oven, lol. my mum’s special recipe, chocolate cake! A black forest dark chocolate cheesecake. I’d cook a chocolate and black cherry mousse cake. I would bake some lovely white chocolate and blueberry muffins with my two daughters! a roast dinner – living off a slow cooker at the mo! A batch of fruity oat and banana muffins – my nephew loves them! I Would bake Apple crumble with our 4 year old as he has just picked all the apples off the apple tree and is very excited,when I told him he could make an apple crumble with them!! I would make a carrot cake first. I would bake an Autumn crumble with blackberries and apples. A nice victoria sandwich with fresh cream. Blueberry muffins with my boys – they love them!! A gorgeous crispy pork shoulder!